I think this one connects with picture #1041 on the site. I recognize Provost George and the Rev Fraser in this photo. The Saltburn school teacher, Jess Ross is in the picture too! 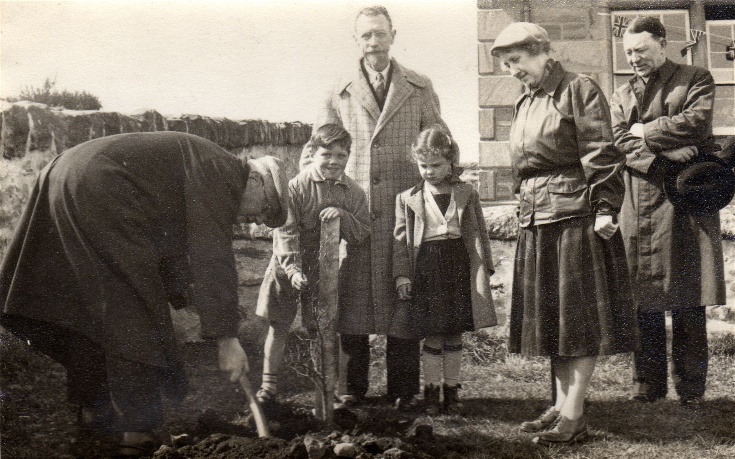 The year is 1953 with the tree being planted to commemorate the Coronation.